Phil leads an elite team of professionals that focus exclusively on investment sales for net-leased investments and shopping centers throughout the United States, advising developers and institutions in both dispositions and acquisitions. During his career, Phil has completed over $2 billion in investment transactions in 42 states. Phil is a Senior Director of both the National Retail Group and the Net-Leased Properties Group at Marcus & Millichap and and has consistently ranked amongst the firm’s top 30 agents nationwide and in the all-retail and single-tenant product specialties. In 2015, 2016, and 2017, Phil ranked within the top 10 agents companywide. As an East Coast native, Phil grew up in Lawrence, New York. 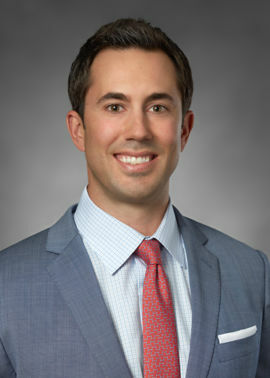 A graduate of Westminster School in Connecticut, Phil went on to earn his bachelor’s degree from Hamilton College where he studied political science and economics, and was the captain for the men’s varsity lacrosse team. He and his wife, Lauren, have two sons, Parker and Tanner, and a daughter, Stella. In his spare time, Phil enjoys playing golf, skiing, surfing, and spending time with his family.